We interrupt this programme for a special news bulletin. 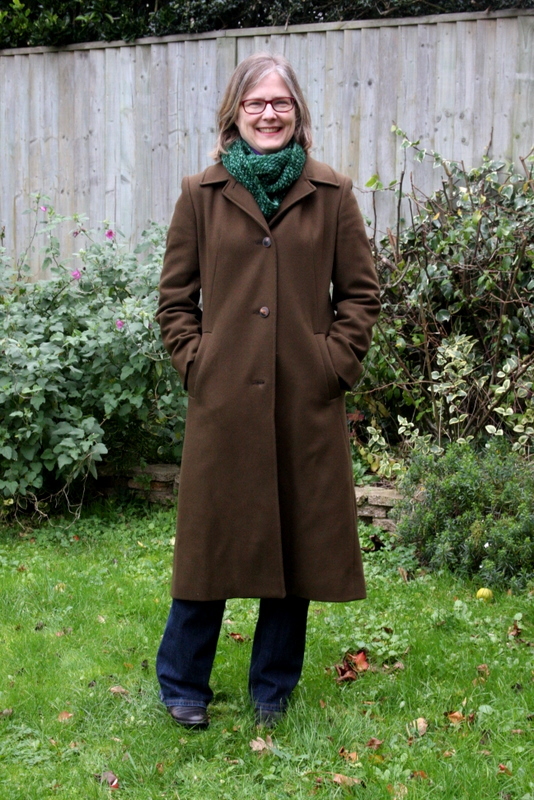 I interrupted the Peerie Flooers hat to start knitting the Brick pullover. And then I interrupted the Brick to knit a cowl. Why? 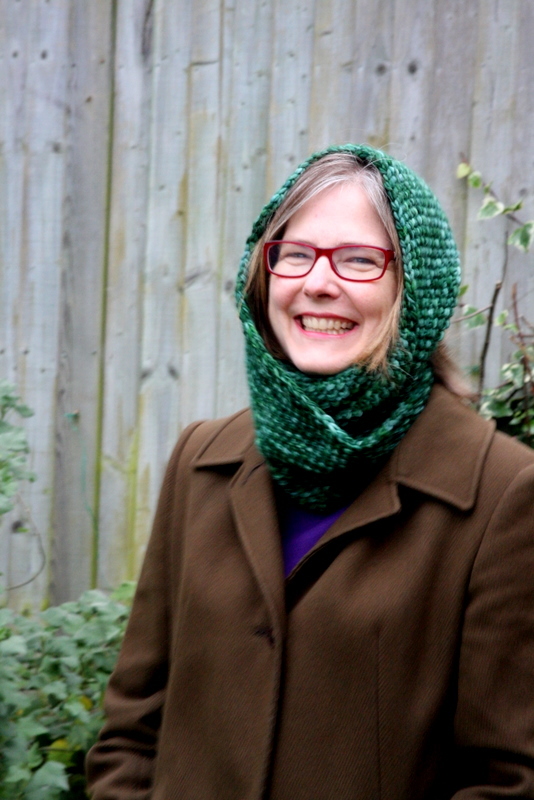 Because I slavishly follow trends and everyone is knitting and/or wearing a cowl? Because it is bound to get cold anyday now? Because Christmas is fast approaching? Or maybe just because Malabrigo yarn is so cozy I couldn’t resist? 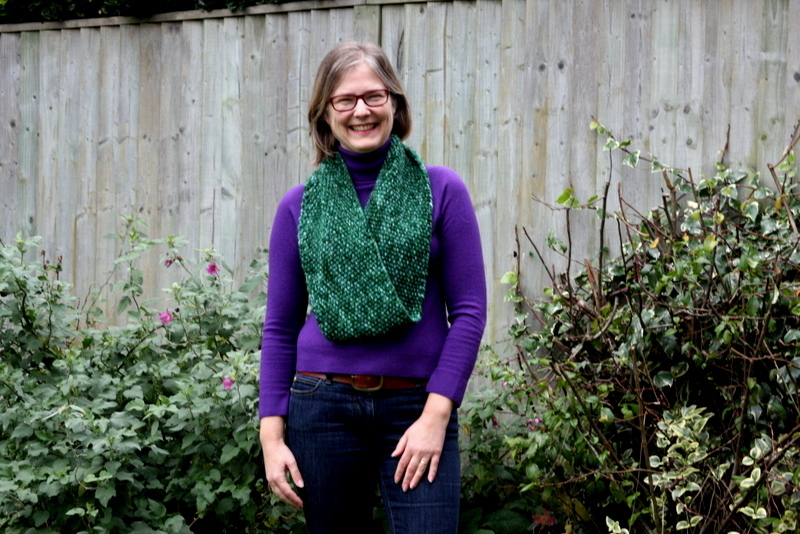 Two years ago I bought a sweater’s worth of Malabrigo in this luscious variegated green. After I bought it, I came to a realization. I love the way variegated yarn looks on the skein, but I am not a big fan of sweaters knit with them. So, the wool has been packed away in a bag waiting for a project. 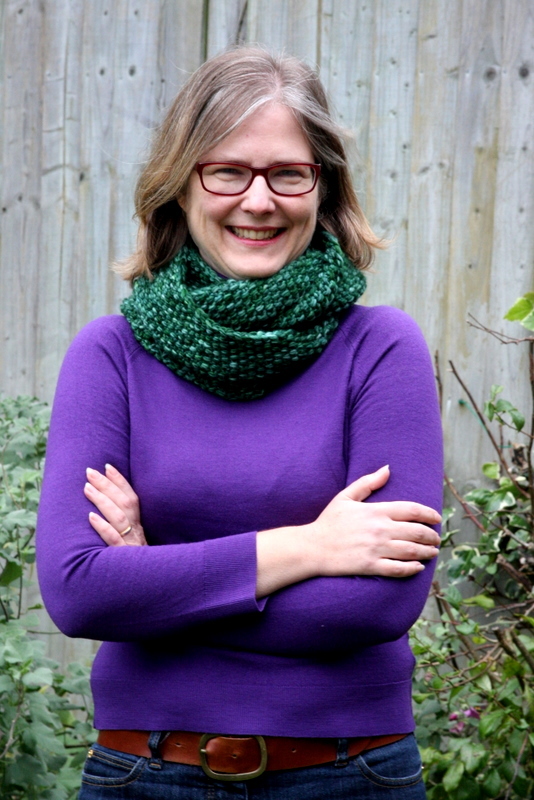 This cowl is knit with two strands held together, and is knit in seed stitch. Both of these tend to mitigate the pooling effect of the yarn. A note for my North American viewers: Yes, I do know how to spell. Despite being North American, I live in England now, and write for a living. My brain doesn’t like switching back and forth between British and American spelling conventions. So I have reluctantly conformed (except for the ‘z’ in realization). Lovely! I also have about 5 hanks’ worth of Malabrigo in colour “Pearl” which pooled like mad! I started a cardigan with it, and frogged when I realized the two fronts were completely different colours LOL! 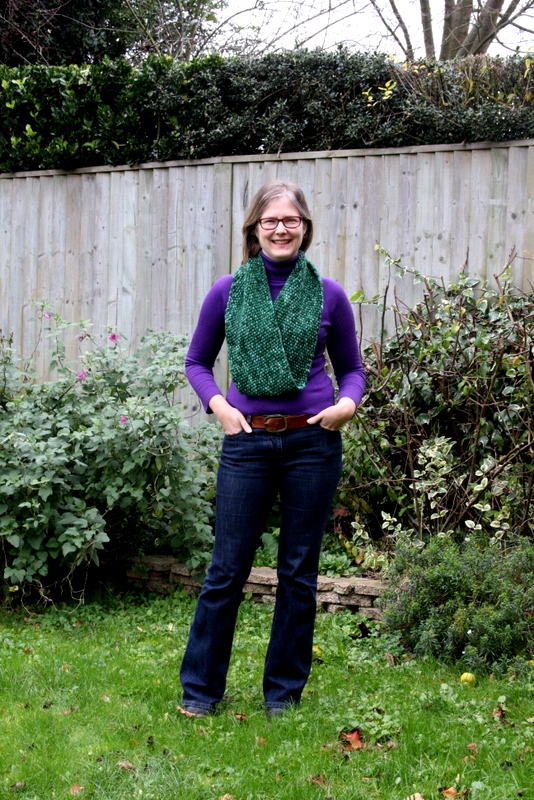 I have been looking for a great project to re-purpose this wool, and I think I have just found it! Did you cast-on the requisite number of stitches according to the pattern? Hi. Thank you for your comments and sorry for the delay in responding; I have been out of the country on a trip and off line for a week. I think this would be a great way to use up some of your Malabrigo. I really like the colour Pearl too; it should look pretty knit up this way. I cast on 131 just as called for in the pattern, but did go down a needle size.